The Grotto in Tobermory is Bruce County’s most popular attraction, a bustling hot spot visited by hundreds of thousands of people every year. One of Mother Nature’s crown jewels, its turquoise pool of water and intricate cave structures are mesmerizing! I’m sure you’ve heard of it. Yep, that’s right - it’s the Grotto in the Bruce Peninsula National Park! The Grotto is one of our premier destinations and visitors travel from all over the world to hike out on the Bruce Trail to see this iconic feature. In order to have the best experience, there are a few things you need to know before you make the trek. Visit The Grotto page so that you can prepare to have the best adventure to the Grotto. Here is what you need to know before you start your adventure. The Grotto is located at the Cyprus Lake Road entrance to the Park. If you are looking to hike to the Grotto without the crowded trails or busy parking lots, the best time to visit is in the Spring or Fall. We want to ensure you have the best overall experience! The hike through the park to reach the Grotto in Tobermory takes about 45 minutes each way; along the way, you'll see diverse wetlands, ancient cedar trees spiraling from cliff-edges, a multitude of orchids and ferns, birds, and so much more! The cave itself is stunning, carved from ancient limestone and filled with the crystal clear, pristine turquoise water of Georgian Bay. You can walk along a ledge inside its cavity or, if you're brave enough, even take a swim inside! Visitors love visiting the Grotto during July and August. This means, the Grotto parking lot fills up quickly in the summer. We just want you to be aware of the summer crowds and how to plan for the best memorable experience. Better yet, we suggest fall or spring as the best time to visit the Grotto and the Bruce Peninsula. Is the Grotto full? 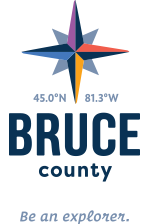 Here are some great things to do on the Bruce Peninsula when the Grotto is full. For more information about the Bruce Peninsula National Park, visit here and for more information about the Grotto - including the new timed parking limits this summer, visit here.